In The Recent Grameen Bank Last Circular, Asking Some Educated Student for “Learner Center Manager” Post. But Who will Apply, She/He Must be Bangladesh Citizen. For Your Information, This Job is Temporary. Any Time This Project will Close. But you will be known from the Bank Authority. One More Speach, Any Job Candidate can’t Join In Own Zilla, Upzilla, and Union. If you want to apply in the Grameen bank job, Then go to Grameenbank official website. 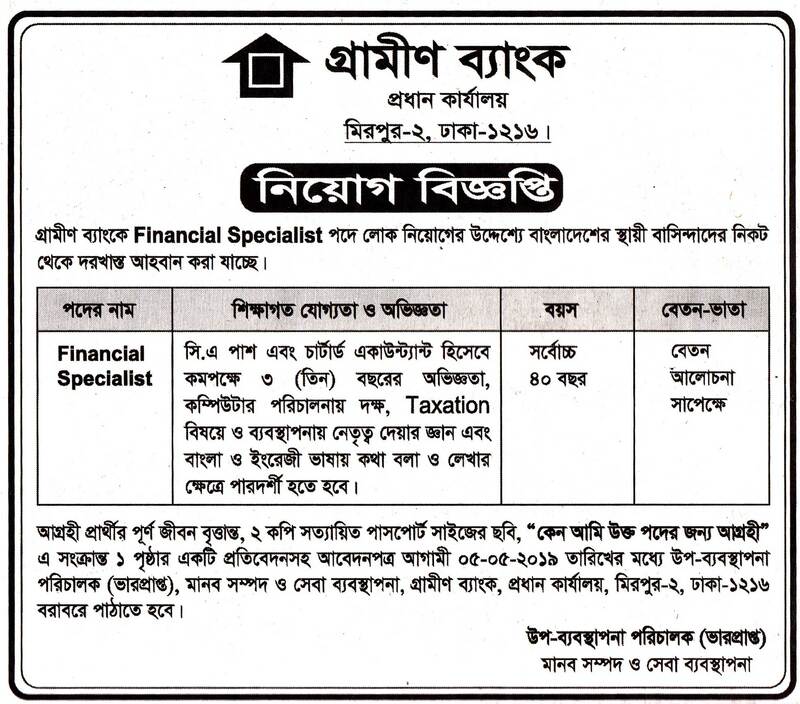 you can also get The Local bank job circular all information in edujobbd.com. as well as go to bank jobs category here. you will see many bd bank Career notice. by the way, let’s see Grameen bank circular 2019 Details. Post Details: as per Villege bank circular 2019 bd. Application Start Date: Apr 15, 2019. Application Deadline Date: May 05, 2019. I Hope you read Gramen bank job circular 2019 with application form pdf and job exam date information on my job news website. Next Grameen Bank jobs circular Updates will upload on the NGO GB job circular page. so Downloading Grameeenbank Admit card, Exam date, and Result stays with us & Keep Touring Our Website bank categories. Getting More Job and Educational news, Running visit our online portal.